Click the image above to visit the NASCAR website! One of my favorite things in sports is when the community comes together for a bigger cause. Whether it’s raising money for those affected by natural disasters or helping out in their local areas, we all recognize that sports can have a bigger impact than the wins or losses. This is why we wanted to bring you this story from NASCAR. NASCAR partnered with Coca Cola to honor our troops and their families through a series of super cool events during a 7-week promotion. Visit www.sportsdigita.com to learn more about Sportsdigita. Aiming to show appreciation, gratitude and respect to those who have served and are serving America today, NASCAR Salutes Refreshed by Coca-Cola was a result of the collective efforts between NASCAR, Coca-Cola and the United Services Organization. NASCAR aimed to support members of U.S. armed forces, their families and communities with this uplifting initiative. Through several different race activations, campaigns and exclusive services, this promotion sought to honor those who have defended the United States. The NASCAR Salutes program originally began in 2012, and partnership with Coca-Cola was launched in 2017. This year’s NASCAR Salutes Refreshed by Coca-Cola was a seven-week promotion running from May-July. In May, Coca-Cola and USO partnered to create the “Salute to Military Spouses” program. This six-month promotion overlapped with “NASCAR Salutes Refreshed by Coca-Cola” and allowed NASCAR to host military spouses at select races. As part of this platform, NASCAR and Coca-Cola presented donations to USO programs that support military families. 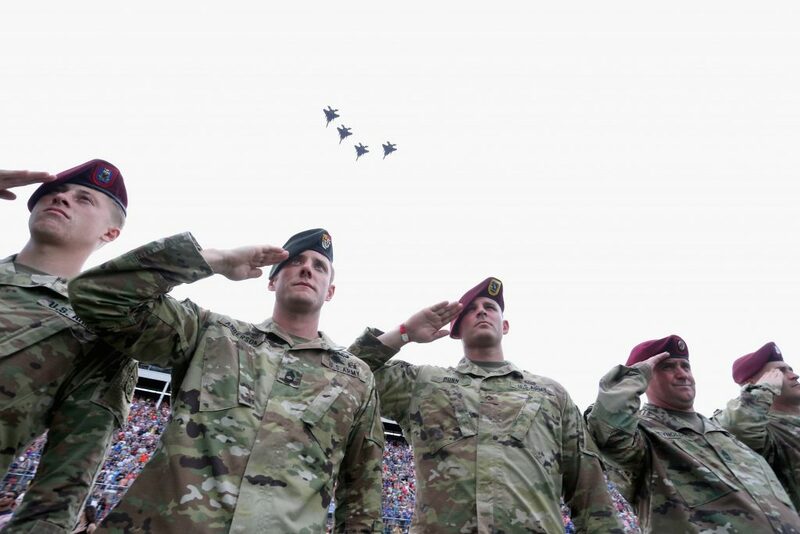 At the end of May on Memorial Day Weekend, NASCAR Salutes Refreshed by Coca-Cola kicked off with the Coca-Cola 600, a race which commemorated fallen service members. Upwards of 5,000 active military personnel were hosted at the Charlotte Motor Speedway where the race took place, and a special pre-race Salute to the Troops was activated which included all five branches of the Military. The Coca-Cola Kitchen debuted at this event, which provided food and refreshments made by culinary experts for the service members and their families. Each military branch was represented by a culinary expert that shared their favorite barbeque dishes onsite to these guests. Fallen service individuals were honored during the race’s meaningful “600 Miles of Remembrance,” in which all 40 of the Monster Energy NASCAR Cup Series race cars displayed one of their names on each windshield as they raced around the track. Through June, NASCAR tracks, teams and industry partners hosted tributes of their own. Military spouses’ stories were shared and published on NASCAR.com, and the campaign gained lots of popularity and attention with the #NASCARSalutes hashtag. 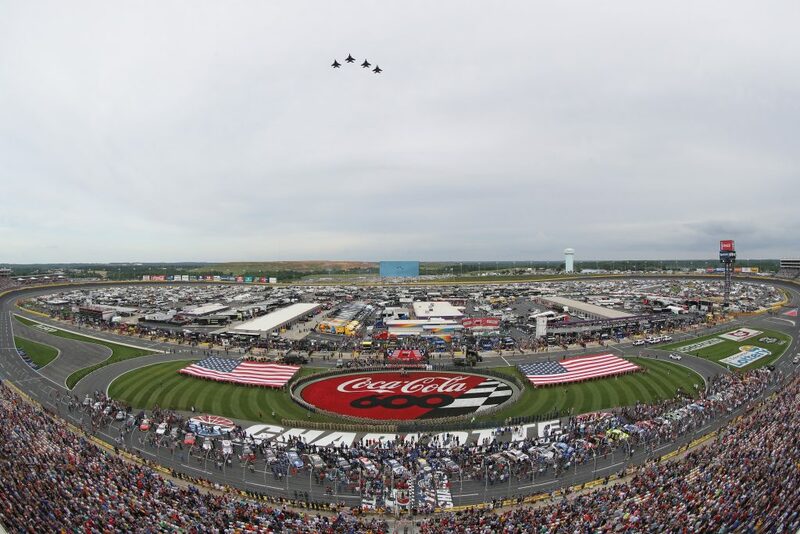 Serving as a monumental end to the “NASCAR Salutes Refreshed by Coca-Cola” campaign, the Coca-Cola Firecracker 250 and Coke Zero Sugar 400 races were held on Independence Day weekend in July. For these events, the Xfinity logo on the NASCAR Xfinity Series races cars were replaced with the names of active military units and installations. By focusing on integrating this initiative into many different races throughout their season, the entire NASCAR industry highlighted their dedication to honor the armed forces communities. Although Coca-Cola was the official presenting partner, NASCAR industry members activated many different initiatives to honor our armed forces. As mentioned, NASCAR and its affiliates all united to pay tribute to our country’s heroes in their own special ways. For example, during the Coca-Cola 600 race that started this promotion, FOX Sports presented “FOX Sports Remembers.” This tribute began in 2009 and lists the names of every U.S. Armed Forces member who has lost their lives since the previous year’s Memorial Day weekend race on the FOX Sports channel. For that same racing weekend, all NASCAR Goodyear racing tires were printed with the phrase “Support Our Troops.” Another initiative was launched when Toyota activated “Hire our Heroes” at the race track, which helped family members of active, retired and fallen service members to update their resumes, use social media effectively and connect veterans with potential employers. As a whole, NASCAR and its affiliates and Coca-Cola executed several different promotions to support our troops with NASCAR Salutes. According to the NASCAR Fan Council, this year’s promotion performed better than any other preceding. NASCAR has been measuring the success of this program since 2014, and this year showed that three out of four avid NASCAR fans are aware of the NASCAR Salutes initiative, which is the highest awareness rate ever. Although this is only the second year that Coca-Cola has sponsored the program, Coca-Cola and NASCAR Salutes’ brand association has increased in fans’ minds by sixteen percent both years. Furthermore, nine out of ten fans believe Coca-Cola’s sponsorship is “a great way to show support for the U.S. Military and their families.” Both NASCAR and Coca-Cola have benefited tremendously from this partnership in and are helping to support and honor United States armed forces, their families and communities. NASCAR Salutes Refreshed by Coca-Cola is an initiative that NASCAR plans to implement long term. “All across the world, U.S. military units and bases are working around the clock to protect our country’s freedom and this is the NASCAR industry’s way of showing appreciation for that commitment and sacrifice,” said NASCAR executive vice president and chief marketing officer Jill Gregory. NASCAR Salutes Refreshed by Coca-Cola was an extremely impactful and meaningful initiative that will continue to honor and support the military for years to come. Sports & Entertainment, Powered by PSAV, provides a strategic and specialized focus for event technology and production services to the sports and entertainment industry. Through dynamic and innovative technology solutions, PSAV can help organizations reach new levels of fan engagement in season and maximize private and special event revenue in the offseason.